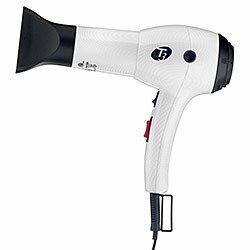 During the last trip to the hair salon, I was totally intrigued by this new hair dryer. It was truly light as a feather, but what was more astonishing was the fact that it helped eliminate the fizzes. You all know what I am talking about....the hair never quite looks the same when we blow dry it....not to mention how tired our arms get half way through trying to achieve the same sleek blow out! Only the highest quality, imported Tourmaline gemstones, known to impart optimal ionic, infrared heat, are molded through the patented T3 process. Tourmaline is crushed into a fine powder and infused deep into the vital elements of the dryer. Unlike other products that make do with a sprayed coating, T3 achieves deeper, long-lasting results. It weighs 13.5 oz. ! Named by InStyle Magazine as a "Best Beauty Buy of the Year! Here is the best place to buy it, 40% off!